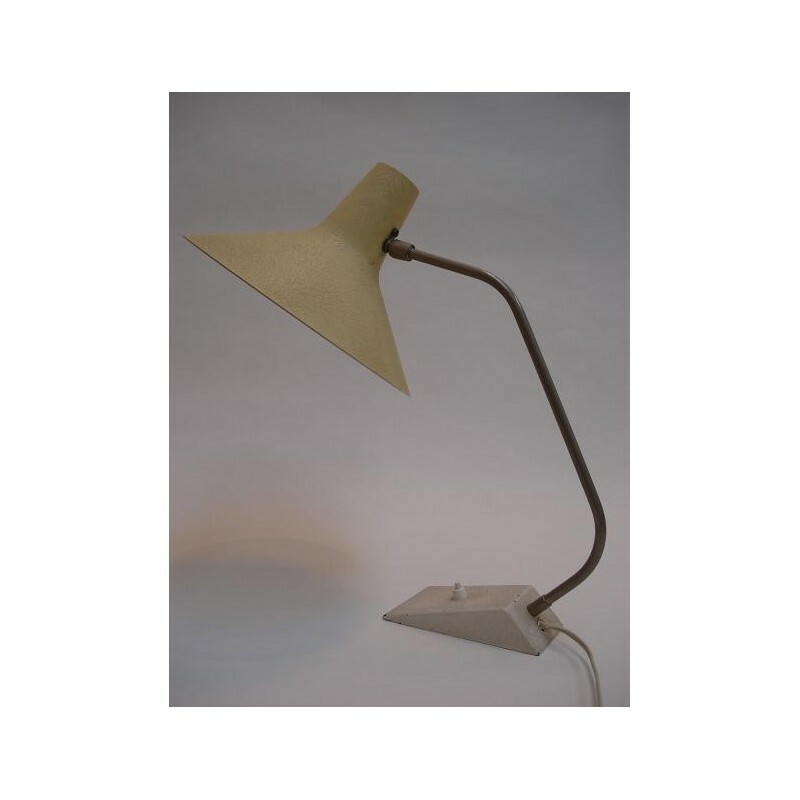 Nicely fromed table lamp from the fifities. The lamp has a yellow lamp cap and a white base. The condition of the lamp is good. 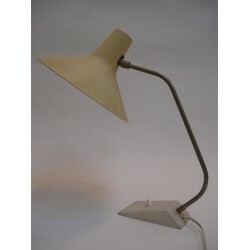 The lamp cap has a dia meter of 26 cm the total height os the lamp is 43 cm.